Select one tarot card that reveals your chances and opportunities this May. 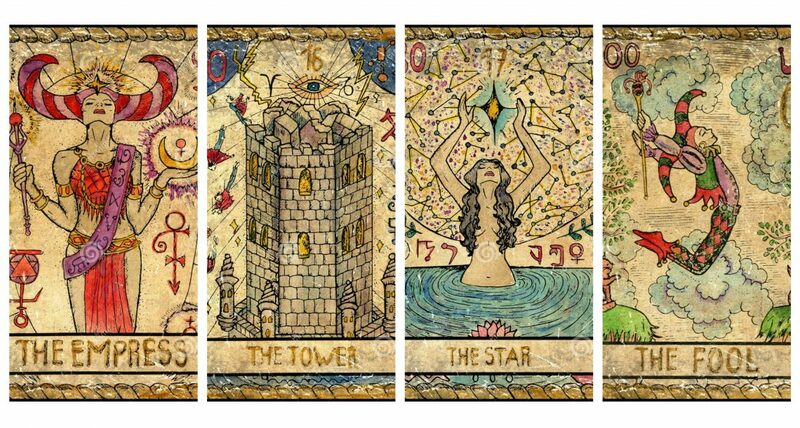 This tarot card will motivate you and show you the right direction. Think about its message and try to get a benefit from its substance. This symbol may give you the urge to clarify what is important for you in the area of emotions. Maybe you’ll meet a person who will help you understand. You may use this period to solve problematic relationships with women who play an important role in your life. Don’t dwell on old wounds and pain, and don’t suppress your love towards yourself or towards others. You will feel the need for emotional balance but don’t overdo it. Feelings shouldn’t be exaggerated or suppressed – either one of these choices would cause inner incompatibility. It is a very creative period, you start taking care of yourself and get hold of your leadership skills. In case you’re tired, then the Tower is the ideal symbol for starting a healing process. Picking this card means that in the next few weeks, you will be trying to reorganize some aspects of your life that are health-related. You can start a diet, exercise, go for walks or other activities connected to yourself. In any case, it is a time when you can get rid of everything that you perceive as false, useless and done with. You will feel the need to free your life from complexity, make it simpler in order for your inner and outer form to be balanced. Maybe you’ll realize who you really are and what’s important in your life. The time for great inner change is coming. But be gentle with yourself during the transformation! If you feel drawn towards this card, your main subject is believing in yourself and self-respect. You may implement thoughts that could help other people. You can start working on projects with people born under the Aquarius sign and the results could serve not only you but also other people. During the next few weeks, you may feel that the level of your self-respect is rising so much that you’ll be able to help other people gain their own self-respect. Your help to others may be appreciated or thanked for during this period. Even your intuitive perception may increase during this period. You’ll have a great desire to come up with something new and to do a good job. But be careful, self-confidence is not pride! Don’t forget about humility! If you have chosen this card, it means that you express yourself with no fear, just the way you are. In the upcoming period, you will use the rich internal energy that flows through you. You will be able to break away from anything and move forward. If you are drawn towards this card, you can get closer to a state of inner integrity and regain your inner courage. You can try to use your creativity. During this period, you might long for a change. Let your intuition lead you and don’t be afraid to take risks.